Since its launch in 2006, Professional Hairdresser has been an essential source of information for all those seriously involved in the business of hairdressing. In a style that is tailored to meet the demands of key professionals, it delivers all the latest the industry has to offer from new products and techniques to the business of running a salon. Strong editorial content reflects this highly creative industry with quality coverage on everything from catwalk fashion to the latest hair trends and collections. Within Professional Hairdresser there are two dedicated sections which meet the demands of two important areas of the industry: Extensions and Gents. Both these sections offer a relevant and lively platform for manufacturers and high profile industry experts to promote their business at a time suitable to them. Professional Hairdresser had the largest reach into the industry with a market leading ABC audited circulation which is precisely structured to deliver a highly focused target audience of key industry buyers. 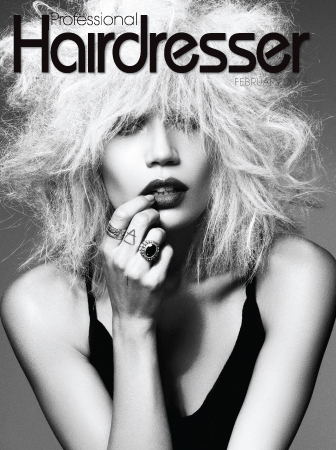 In addition to the print version which is published 11 times annually (with a combined July/August issue), the Professional Hairdresser brand also includes www.professionalhairdresser.co.uk – a lively and daily updated forum for all the latest news, products, trends, step-by-steps and videos relevant to the hairdressing industry. This is complemented by a weekly newsletter delivered to over 18,000 recipients.